My brother Josh is one of my favorite people in the world. 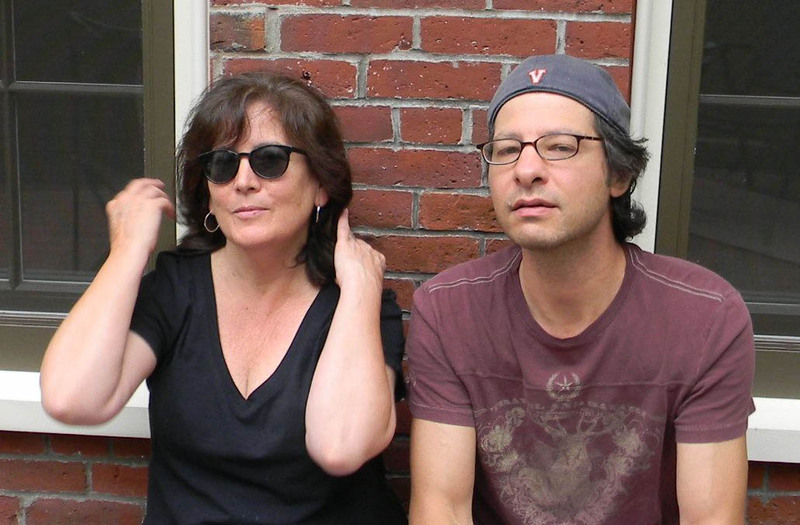 He directs the Gowanus Music Club in Brooklyn. This summer he was kind enough to share a small taste of his neighborhood’s vibrant food scene with me. The Brooklyn food community suddenly resembles Portland, Maine, where I live. Neighborhood bistros offer herbs and veggies lovingly picked from rooftops, fire escapes, and delivered fresh from the farm. Brooklyn CSAs (Community Supported Agriculture) harvest and sell farm-fresh produce the same way we do here in Maine. 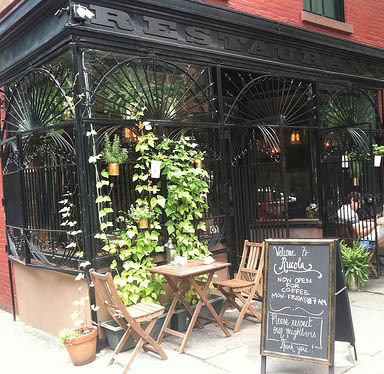 Rucola restaurant sits on one of the many adorable streetscapes of historic Boerum Hill, my brother’s neighborhood. Undaunted by the hipsters sipping espresso, I stopped into Rucola for a peppery arugula (“rucola”) salad with simple vinaigrette and Parmigiano curls – delicious. Plus a beautiful stuffed artichoke with herbs, lemon and breadcrumbs that took all morning to deconstruct and savor – satisfying and memorable. Beware: co-owner Julian Brizzi’s signature cocktail, the Basil Bite, is densely flavored and possesses enough gin and Cynar to trip up the most intrepid traveler. Find Rucola at 190 Dean St. in Boerum Hill. Another impressive Brooklyn eatery is chef Saul Bolton’s eponymous restaurant on Smith Street where seasonal ingredients rule. Their dense and meaty grilled octopus is served with pork belly, grilled scallion and jicama and emboldened with Sriracha, honey, lime and sesame—a rich, seasonal delight. Saul’s lovely heirloom beet salad with fennel, topped with hazelnuts and apple vinaigrette, tastes like a summer in Maine. 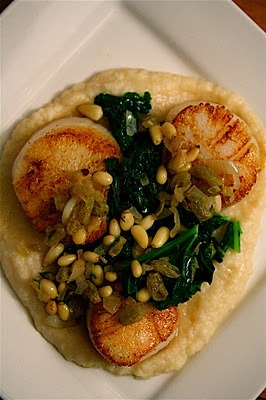 I can’t wait to go back and taste his pan-seared scallops with white bean puree, kale and pinenuts – maybe this fall if it’s still on the menu. 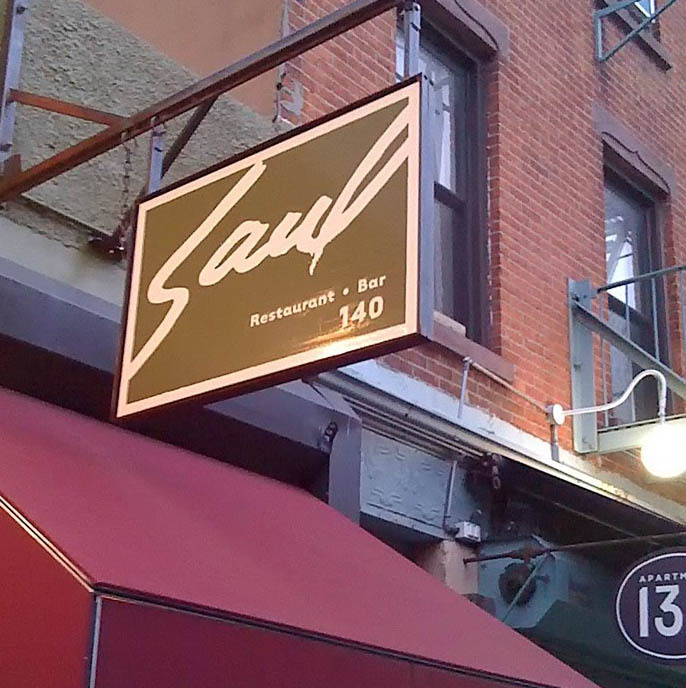 You will find Saul at 140 Smith Street in Boerum Hill. Thanks, Josh, for a delicious time in your neighborhood! This entry was posted in Food and Wine, Travel and tagged Brooklyn, CSAs, Gowanus Music Club, New York City, Rucola Boerum Hill, Saul Bolton. Bookmark the permalink. yum! the last little bit of summer. and – nice title.